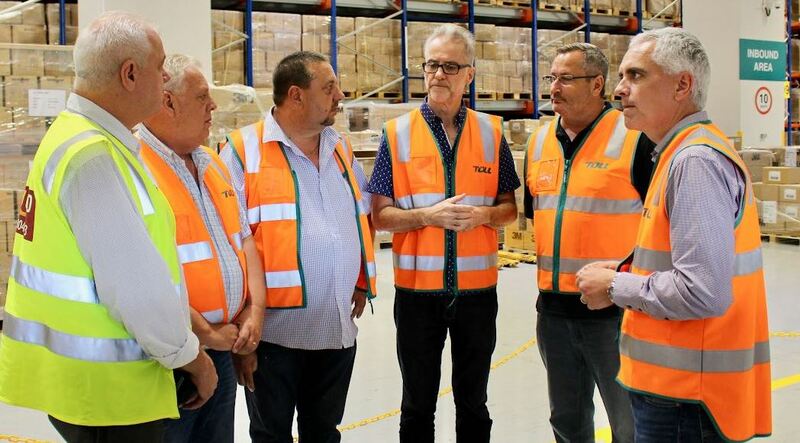 With companies increasingly working across state and international borders, it is becoming more important for the TWU to coordinate its activities and build worker power on a national and, in the case of battling global economic giants, international stage. 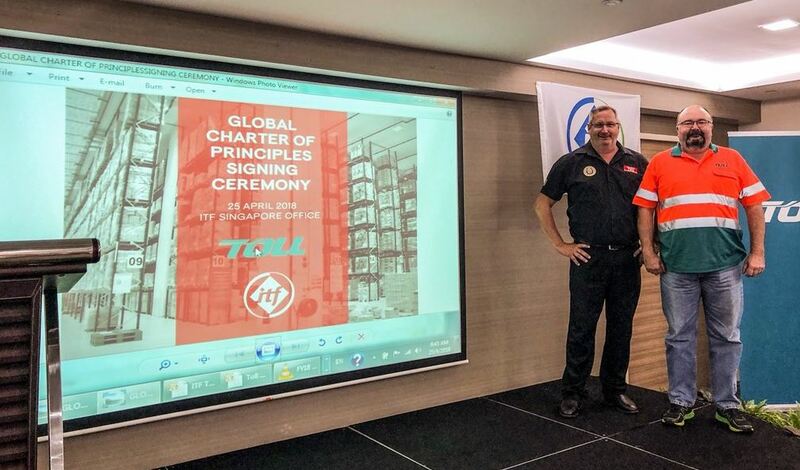 To this end, TWU (VIC/TAS Branch) Secretary John Berger, along with TWU Toll Delegate John Rowe, was in Singapore last week as part of a delegation of International Transport Workers’ Federation (ITF) members who met with the Toll Group. John reports that the company signed a unique agreement to abide by international labour standards and to improve working, safety and industry standards for its 44,000 road transport, distribution, logistics, supply chain and warehousing workers across its 1200 sites in 50 countries. He said the charter is a win for TWU Toll members and puts pressure on locally and other internationally-based logistics and supply chain companies to better recognise the importance of its workers.